Doesn’t it seem like the world is literally falling apart? We live in what seems like really strange times. I’ve heard it said over and over again that we live in a time unlike any other – that things have never been worse than they are now. And the evidence we see on the news and social media would seem to back that up. But, there is a problem we need to acknowledge before we sign off on these times being the worst ever. What seems to be hidden in all of these stories and posts is the fact that we know about all of them – not only that we have access, but that it comes so quickly. And, this seems to be one of those years where all of the bad stories seem to come “rapid fire”. This is not to downplay the horrors we see in front of us. What needs to be recognized is the effect all of these news events have on our psyche and how we respond. We cannot deny what is going on around us. But we also should not deny what it is doing to us. Think about it – when you hear about all of the things I listed above, what is your natural response? It could be many things, but usually when we get overloaded with story after story about suffering in the world, we become paralyzed. We don’t know what to do, how to help, or even where to start if we did want to help. This is a big world with many difficulties. Some call it information overload or compassion fatigue. We want to help and care, but there is too much to help and care about! Teenagers are growing up in this world, and likely are handling it better than adults like me who remember a time when information wasn’t as readily or as quickly available. But even so, we must help teenagers (and ourselves for that matter) overcome these overloads to see the needs and hurts in their own communities. While what is going on in other parts of the world seems overwhelming and needs help, so do many of the issues and problems facing our own communities. Let us be people whose hearts go out to the suffering and needy in the world, but also making room for our neighbors and friends in the same situations. Let us be self-aware – with a willingness to step back and realize when we are feeling overwhelmed – to do the things we need to be available to serve our neighbors. This might mean shutting the laptop, deleting the social media account, or creating strict boundaries on what we consume. 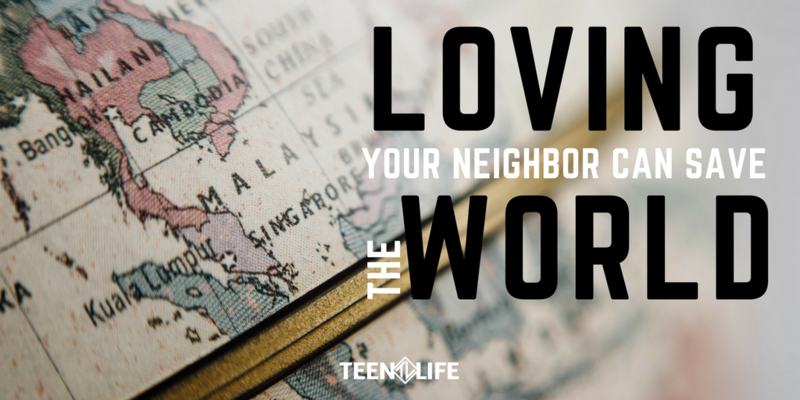 The world might seem like it is crumbling, but let us not become overwhelmed to the point we fail to act on behalf of our neighbors.